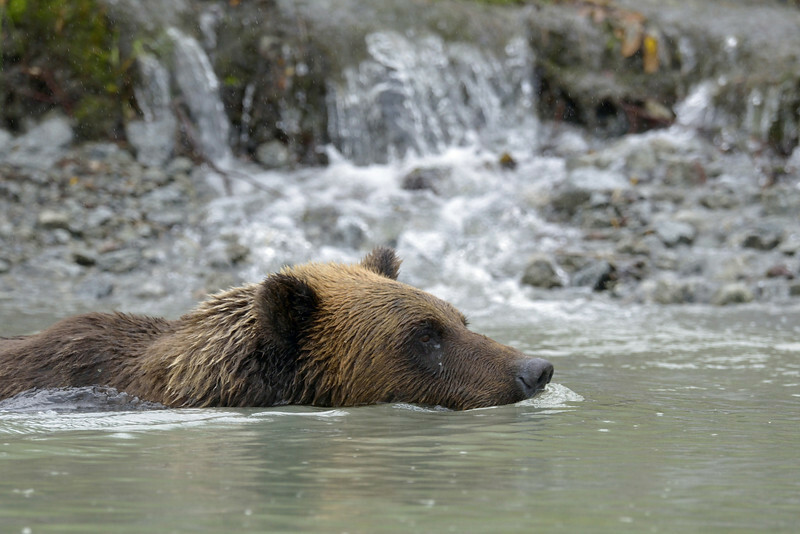 Coastal brown bears and inland grizzly bears are sub-species of the brown bear. The main difference between them is their size, which in turn is due to the differences in their diets. An adult berry-eating grizzly living inland may weigh as little as 180 lbs, while an adult coastal brown bear living on a steady, protein-rich diet of spawning salmon may weigh as much as 1,500 lbs.